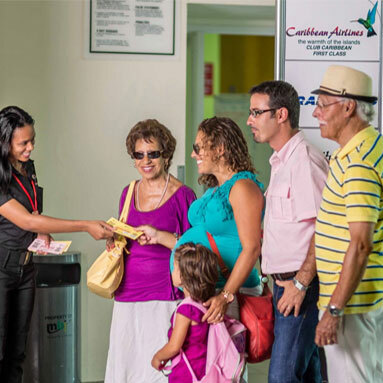 We value you and your support and remain committed to enhancing the VIP Attractions – Club MoBay and Club Kingston experience, in this case, our Group Program. We ask that if you are working with a Destination Management Company (DMC) to coordinate your group, please indicate, as we are more than delighted to work with you and your DMC to negotiate and make the necessary arrangements. 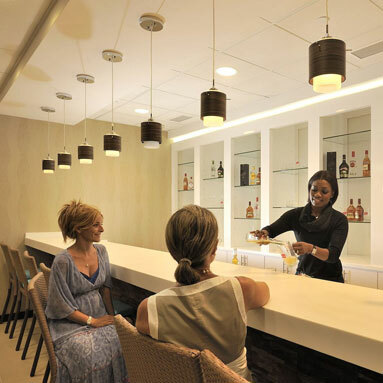 At VIP Attractions – Club MoBay, just 25 participants or more is eligible to receive the benefits of our group program! snacks & drinks, comfortable seating, Wi-Fi, private restroom. -Escorted service, which begins upon disembarking the plane, through an expedited Immigration (based on group size on a given flight) and Customs process. To maintain the integrity of the program, we are guided by a cap on each flight. 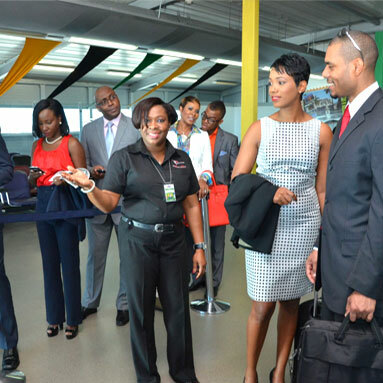 -Group members are greeted by a Club Mobay Representative holding a group branded paddle. -Each Ambassador escorts a maximum of six group members for any one meet. -Coordinate with group members ground transportation handlers for transfer service on arrival. -Wide range of mini spa treatments (subject to a surcharge). -Complimentary phone calls to the USA / Canada and UK Landline. -Family Lounge with sound- controlled children’s play area. *Preferred group rates can also be extended to families of 10 who are travelling on the same flight. Welcome signs branded with group’s logo, arrivals lounge branded as well. 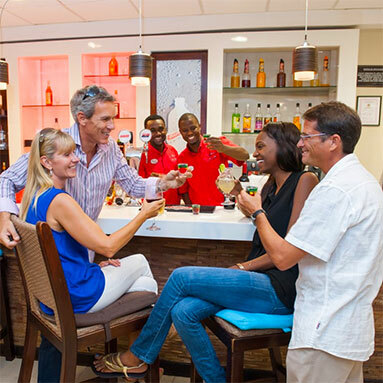 Guests who are staying at partner properties that have an arrivals lounge at the airport will be escorted to the respective hotel’s lounge. The lounge entrance will be branded with the group’s logo and name displayed. 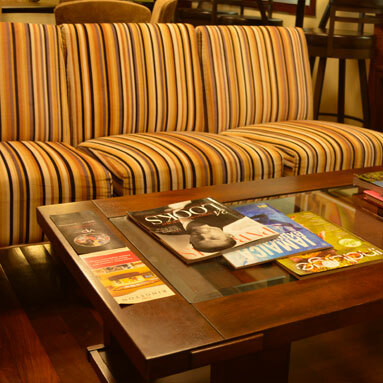 We will distribute approved collateral provided by the group to its members utilizing the lounge. Reserved Semi-Private or Private Room based on group size and availability. Please note the Spa services are not included in the group package and can utilized at an additional fee.